A contract with Aer Árann will run from today until 30 September 2019. THE DEPARTMENT OF the Culture, Heritage and the Gaeltacht has reached an agreement to allow for the continuation of Aer Árann’s services to the Aran Islands until September next year. In June, Aer Árann had notified the Department that it intended to end its contract to provide flights to the islands from 6 December. The flights were part of the Public Service Obligation agreement between the airline and the department. However, Minister of State with responsibility for Gaeilge, Gaeltacht and the Islands Seán Kyne has confirmed that Aer Árann has been selected for the provision of the air service for the Aran Islands up until the end of September next year. The contract will run from today until 30 September 2019 and operate between the three Aran Islands and Aerfort Chonamara. “I am pleased that an agreement has been reached which will now ensure the continuity of the air service over the Christmas period and for the coming months,” Kyne said. “There has been ongoing dialogue between the island communities and my officials, and I would like to thank them for their contribution. I would also like to thank Pádraig Ó Céidigh and the team at Aer Arann for their continued commitment to this service,” he said. A further tender process to award a four-year contract will now be undertaken while this contract is in operation, and the Department has said it will continue with negotiations with regard to the potential purchase of Aerfort Chonamara. 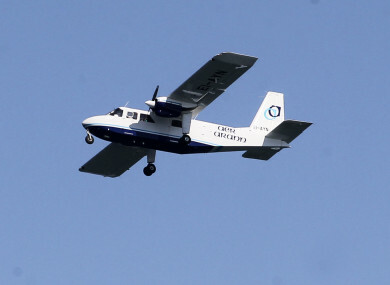 Email “Government reaches agreement with Aer Árann to continue flights to the Aran Islands”. Feedback on “Government reaches agreement with Aer Árann to continue flights to the Aran Islands”.